Looking back through your early years, what have been your major cinematic influences? Guillermo Amoedo: Although I’m not the biggest horror geek, there are definitely movies which made a mark in my youth. One would have to be The Fly and another would be Alien. They didn’t necessarily influence my own work as such, but what these filmmakers, David Cronenberg and Ridley Scott, acheived and how they handled the story and built tension really opened my eyes. What is it about the storytelling and format of these films you like? Guillermo Amoedo: I really appreciate the way they use horror to say something else. It’s not just about scaring the audience but also making statements about the characters, their actions and building incredible antagonists. 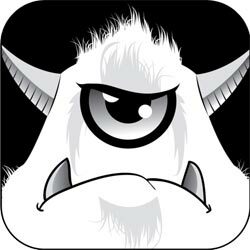 Even though they’re monsters, you’re attracted to them and compelled to keep watching. That’s very powerful. Guillermo Amoedo: David Cronenberg would be a major one, as both a writer and director. Ridley Scott is incredibly versatile and can do just about anything. I’m also a big fan of Francis Ford Coppola and Quentin Tarantino. I don’t necessarily make similar films to these directors, but I just love the way they work. In recent years you’ve become a regular collaborator with Eli Roth. How did you first meet and come to work together? Guillermo Amoedo: We started working together in 2010 when we made Aftershock. 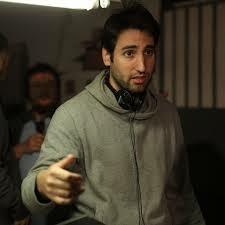 We began working together through Nicolás López, the director of the film. I’d personally worked with Nicolás about 3 or 4 times before that and we all had a great time. So, when it came to their next film, which was The Green Inferno, we teamed up again, and this time I co-wrote with Eli writing and directing, while Nicolás produced the film. Later, Eli and Nicolás also came on board as producers for The Stranger so we’ve now worked together many times. Can you describe your working relationship? Guillermo Amoedo: I’d say its very natural and we use the same process we had with Nicolás working on those earlier movies. First, we spend a lot of time discussing the story and characters, focusing not only on what should happen but what shouldn’t happen. Once we have the treatment completed, I’ll usually start the first real draft and then we’ll make tweaks and changes later. Eli offers a lot of help in developing the script and also in editing the film, which is great. Which films or filmmakers specifically inspired you when you made The Stranger? 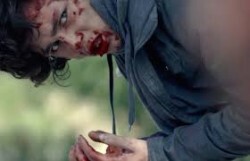 Guillermo Amoedo: I was inspired a great deal by Let the Right One In. Although I’m not a big fan of the vampire genre, I love the way director Tomas Alfredson treated the subject from a realistic point of view. It was so refreshing, especially with the popularity of the Twilight films and everything like that, to see something very different. It didn’t show vampires to be beautiful and romantic, it made it frightening again. 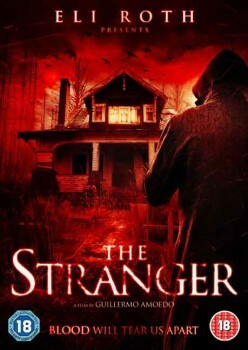 I took a similar idea with The Stranger and decided to make the whole story as realistic and believable as possible. What are your best memories from making The Stranger? Guillermo Amoedo: We had a harsh schedule and some very tiring days, but we had an amazing team. By the end of the shoot, the crew and actors were so deeply involved that we were shooting for nearly 20 hours straight some days. That really meant a lot to me that everyone was invested so these are my best memories from the film, having that support. As both a writer and director, which role (if any) do you find more challenging? Guillermo Amoedo: I find them very different because writing is a solo effort whereas, working as a director, you have to be a leader and share your vision with lots of people. I actually love both but I find writing is probably harder. When you’re on the set directing you can run with a certain moment but, when you write, you’re working from scratch and that’s the hardest part. How do you find directing your own written work? Guillermo Amoedo: I find it much easier because, when I write, I feel like I know more than what’s on the page and I’ve already visualised how it should look. I feel very comfortable directing and I also don’t have problems changing things in the script when we shoot, whether that’s dialogue or locations, which some people might struggle with. But I definitely enjoy both roles and plan to do more. 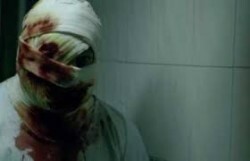 Guillermo Amoedo: I’ll be directing again and there’s actually one horror script I plan to make next year and another which is more of a mystery/thriller. I’m still interested in comedies and romance too, as well as horror, so I definitely enjoy the diversity.